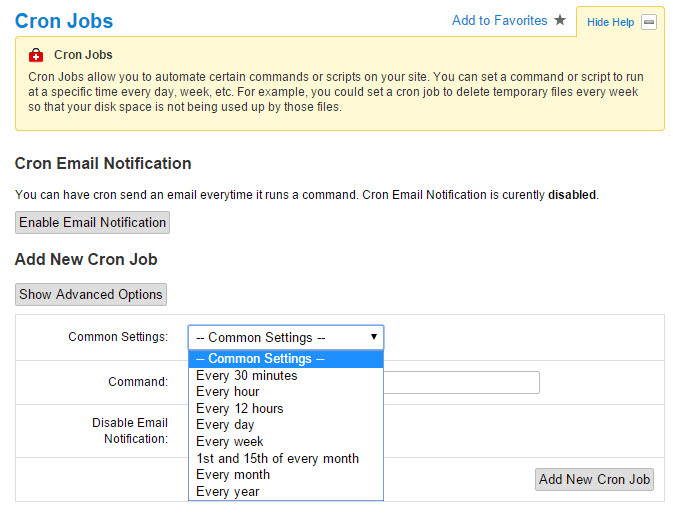 Two easy CRON jobs that will have you feeling confident that your files are backed up! For WordPress sites, I recommend UpDraft Plus and use it on all my client’s sites flawlessly. However, for non-Wordpress sites, your hosting company might provide a daily or weekly backup as part of your hosting package. Regardless, it’s best practice to setup a secondary backup system that will keep multiple copies of your database (if applicable) and files. Objective: Add a CRON job to create a Tar Gzip file that will use the current date and time in the file’s name. This file will also be saved in a folder called “FILES-backup”. Create a folder (NOT in the public_html or www folder) to save the backup files. Make sure it’s a level up from your web folder! 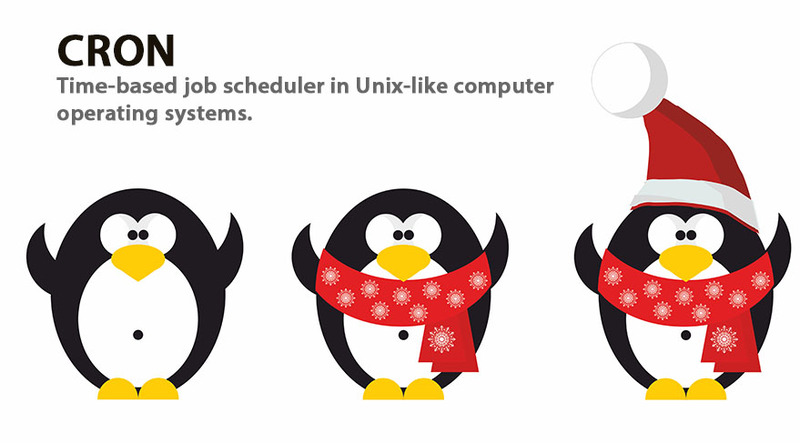 Add CRON job command and select the interval. Test CRON job and verify file creation. This command will tar all files in the public_html folder and create an archive in the FILES-backup folder using today’s date/time. Objective: Add a CRON job to create a SQL file that will use the current date and time in the file’s name. This SQL file will be saved in a folder called “DB-backup”. This command will dump a MYSQL database in the FILES-backup folder using today’s date/time. 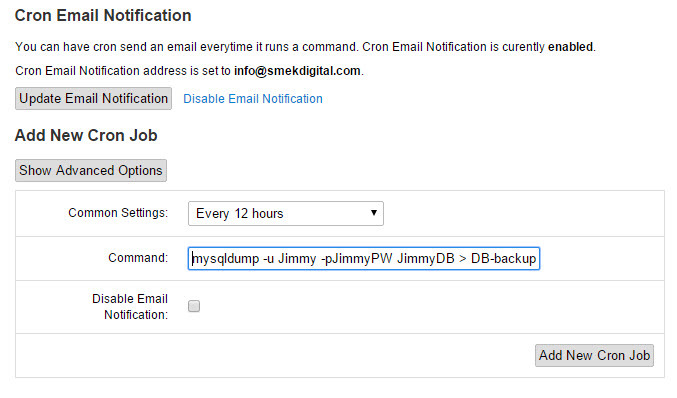 and your database name is JimmyDB, and the resulting file will be saved in the DB-backups folder. NOW go back that thang up!! I’ll revise this post later to add commands to only keep certain date ranges.